Ok not quite, but the holiday season is quickly approaching. If you’re anything like us, you’re probably already envisioning how to bring the holiday spirit into your home. 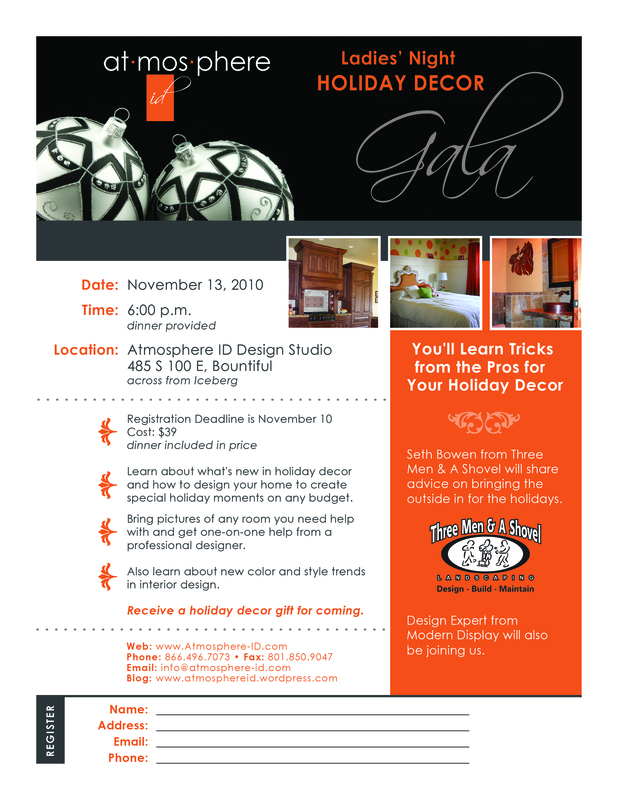 If you live the Salt Lake City, UT area, please join us for a Holiday Decor Gala on Nov. 13, 2010 at our studio in Bountiful, UT. Seth Bowen from Three Men & A Shovel Landscaping will give advice on how to bring the outside in to spread a little holiday cheer. A design expert from Modern Display will also be there with helpful tips. The cost of the workshop is $39 which includes dinner. Space is limited so please register by Nov. 10, 2010.